My husband and I are avid travelers. Give us a few days’ holiday and some funds, and we’re eager to race off somewhere. This past year, however, has been unbelievably hectic, what with one thing or another, and after an entire 365 days of not travelling anywhere, we were ready to crack. So we eventually took a holiday—to The Glasshouse on the Ganges, an idyllic little place we’ve visited before, just slightly above Rishikesh. Sitting there one evening, with my feet lapped by the cool waves of the Ganga, I was humming Ganga behti ho kyon (yes, I’m not making this up; I actually was doing that!) when it struck me: there are several songs in Hindi cinema about the Ganga. And that’s where the idea for this post originated. 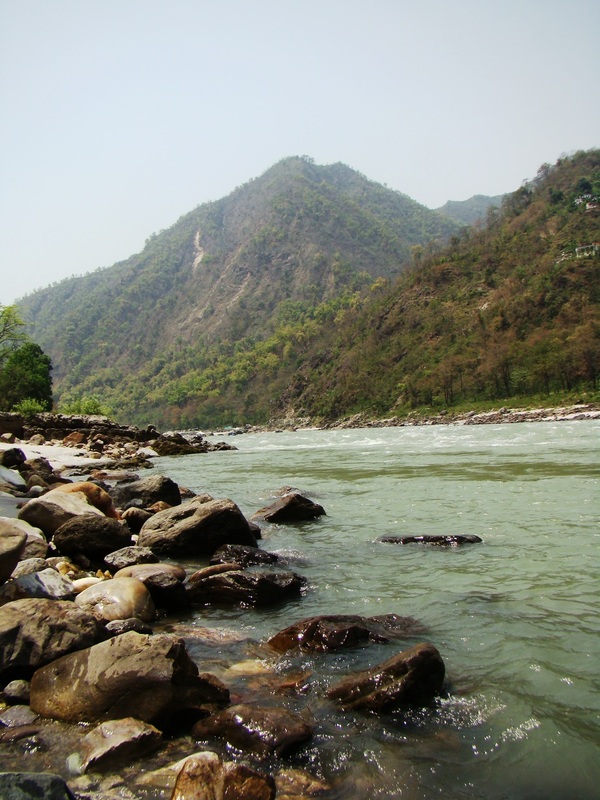 The Ganga flows for a distance of 2,525 km, all the way from the Himalayas (it begins, officially, at the point—in Devprayag—where its two major tributaries, the Bhagirathi and the Alaknanda, join). Most devout Hindus consider Gomukh, at the foot of the Gangotri Glacier, where the Bhagirathi arises, as the birthplace of the Ganga. The fifth most polluted river in the world, this one is one of Earth’s major rivers (it even appears in classical Western art—the imposing ‘Fountain of the Four Rivers’ sculpture at Rome’s Piazza Navona includes the Ganges). Millions of people live alongside it, millions come from far and wide for a dip in the Ganga. And Hindi cinema has embraced it wholeheartedly, all the way from the dozens of filmi children lost at the Kumbh, to Ganga ki Saugandh, Ganga Tera Paani Amrit, Jis Desh Mein Ganga Behti Hai, etc. Plus, the songs. 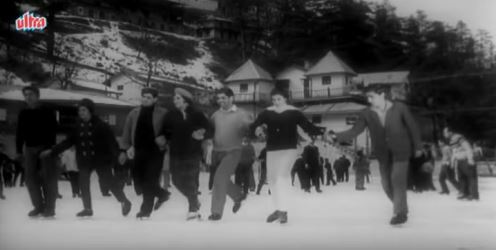 Here are ten songs from pre-70s (mostly, with one minor exception from 1971) Hindi films which mention the Ganga. In different contexts, to different extents. All from films that I’ve seen.